Interruption………….. An interruption is typically viewed as an unwelcome pause on progress. 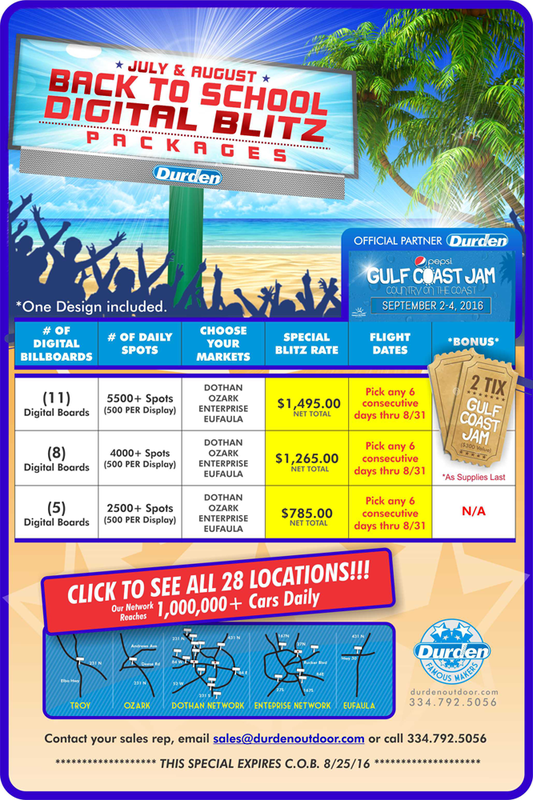 However, last week Durden Outdoor launched a Digital Campaign directed at doing just that. In light of months of societal unrest, we felt as if the Wiregrass needed an interruption. These “Signs from God” serve as a ray of hope designed to focus hurried, rush-hour thoughts on God in a creative and thought provoking way. The #FAMOUS MAKERS decided the best platform for this message was the Durden Digital Network. It is the largest digital billboard network in Southeast Alabama with 28+ boards. These boards reach over ONE MILLION+ cars daily in Dothan, Ozark, Enterprise, Eufaula, and Troy. 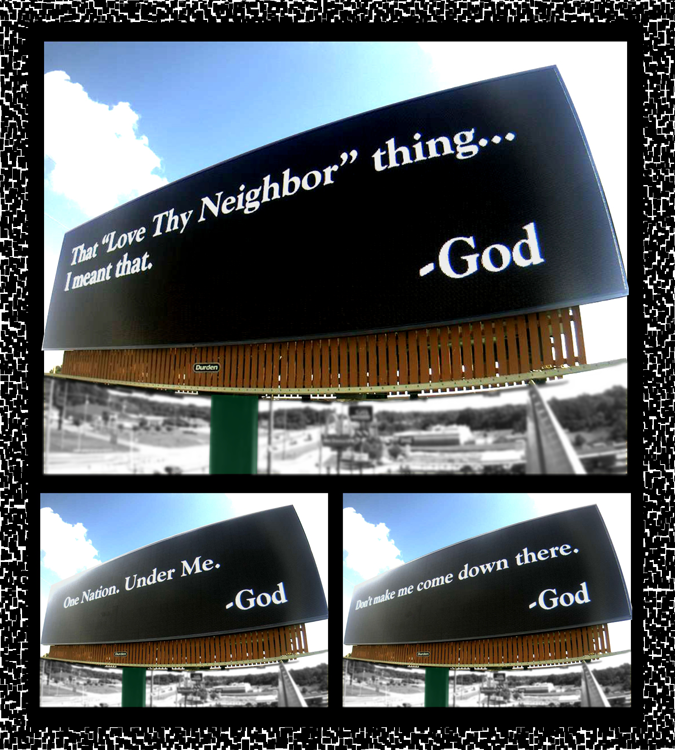 Durden’s “Signs from God” campaign is specifically designed to serve as a positive interruption from the daily commute through entertaining and inspiring content.